How do i join a self-management group? what happens at a pain self-management group? Guidelines - group guidelines are provided. Check-in - typically in the past month what has worked for you. Education topic - Healthcare provider, video, presentation to the group on subject relating to the needs of the group, often based on the Canadian Pain ToolKit a copy of which is available on our website. Click Here For Your Pain ToolKit (free). We suggest our leaders provide a couple of meetings during the year where open discussion about pain is encouraged. Group members choose the educational topics that meet their needs, based on the Canadian Pain ToolKit. We ask this question at least once a year, if the group is dynamic this could occur more frequently. At your first meeting you will be asked for your contact information this includes first name, last name, address, postal code, email address and phone number. Your information is protected by WildApricot” one of the leading membership management companies. Click here to check-out their security poloicy. if i miss a meeting how does affect the process? Not a problem as this is a self-management program each person moves along at their pace. is there a cost to attend a pain self-management group? No. Our meetings are free. We recommend that you bring your support person with you to meetings. Two hours in length, during the meeting you can sit, stand, walk around, lay down or whatever makes you comfortable. We send out email reminders ahead of each meeting. We encourage you to bring a support person (someone who helps you with your daily activities) with you. It's not mandatory however the option is there should you want to. We discourage sitting around and complaining about one's pain. There is no cost to attend our meetings. You can also attend any of our groups for example in a location where we have more than one group you can also attend the other meeting. Our leaders are all people with persistent pain so a real understanding of what you're facing. Trained in meeting facilitation, Brief Action Planning, SMART goal setting. ◦ Opportunities to have social activities. ◦ A place to share your struggles and successes. ◦ A place to help build your new normal. Pain BC has met with the College of Physicians and Surgeons BC (CPSBC) to discuss the impact of the new Standards and Guidelines on people living with pain and their families, as well as the concerns of those physicians who have approached us since the changes on 1 June, 2016. Our representatives felt that the College was receptive to the concerns raised, and we anticipate that the College will issue a public statement soon to clarify the intention of the Standards and Guidelines and, potentially, to announce some amendments. If these new standards have affected your health care or your health Pain BC have provided an information page and contact information. ​We encourage you to let the College of Physicians and Surgeons BC (CPSBC) know how the new guidelines are affecting you. ​Please use the button below to visit Pain BC information page. Is this similar to a six week course? ​No, a Pain Self-Managment Group Meeting is not a time-limited course. It is an on-going (monthly meetings) educational opportunity for people with persistent (chronic) pain to learn how to rebuild their life and successfully manage the pain. Are the monthly group meetings part of a clinic? 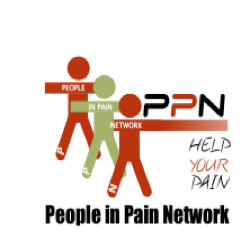 The People in Pain Network of peer-led pain self-management educational groups are not a medical clinic. To attend one of our groups you do not need a medical referral or have to wait many months to attend, all you need is the desire to make changes in your life. Unable to find the answer to your question? Please complete the form below and we will get back to you.